From morning coffee and lazy breakfasts to carefully planned dinner parties, life happens around the dining table. Gone are the days of formal dining rooms. More people are moving toward casual dining spaces to accommodate a range of activities. 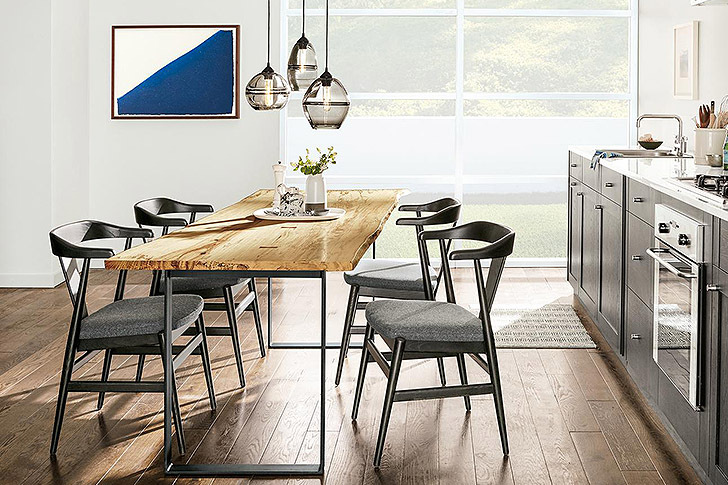 We’ve gathered a few of our favorite casual dining chairs, which are big on style and comfort, to transform your dining space! A Room & Board classic, the Afton chair features a clean, modern look due to its crisp lines and the precise craftsmanship of Vermont woodworkers. This versatile style features contoured solid wood seats and is also available with a fabric cushion for added comfort. Designed for long dinner parties with family and friends, the extreme comfort of our Cora chair invites you to linger at the table. The soft curves of the wraparound back highlight the thin tapered legs and welted fabric. Available in 29 colors, this chair is the perfect addition to your casual dining space. Influenced by Danish design, each Evan chair is handcrafted one at a time from solid wood. 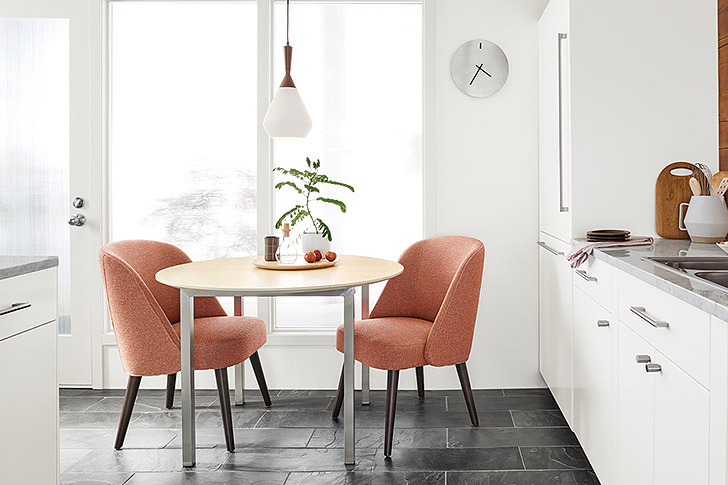 This inviting chair comfortably cradles your back as you enjoy a meal and its shorter arms allow you to neatly tuck it underneath a dining table. Evan’s soft shape mixes effortlessly with a variety of styles and highlights the time-tested beauty and durability of American craftsmanship. The light profile of our Ava chair doesn’t compromise on comfort. 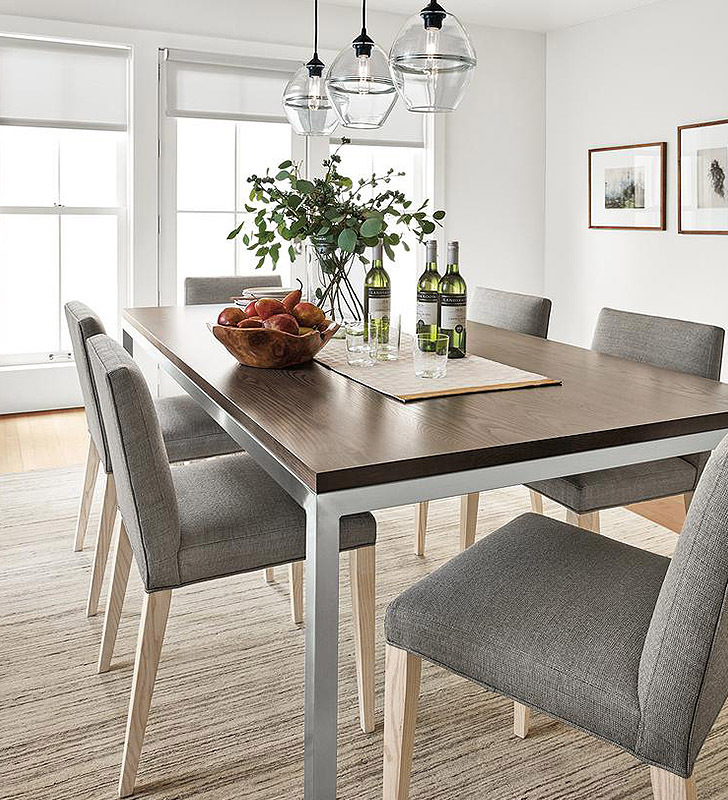 A thin, yet plush, cushion and crisp tapered legs add a modern edge to this versatile design that looks right at home in the kitchen or formal dining room. Looking for more design ideas? Find more inspiration in our dining gallery or get in touch with one of our expert design associates for free personalized advice online, over-the-phone or at one of our stores!